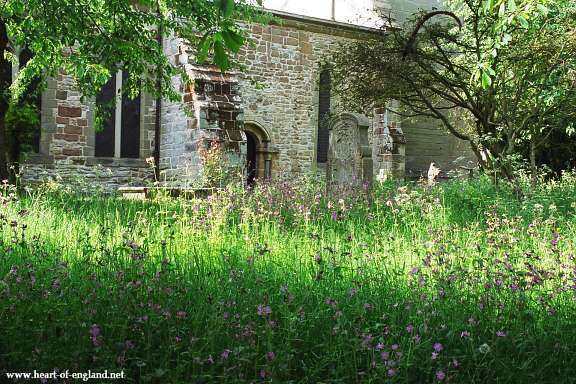 Several churchyards in Warwickshire (and across England) are managed to encourage wildlife - flowers, birds, butterflies and animals, and to conserve lichens. 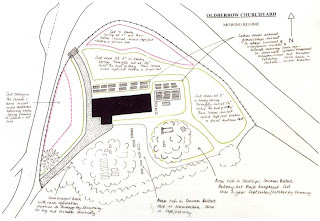 This scheme was originally referred to as the Living Churchyards and Cemetery Project. 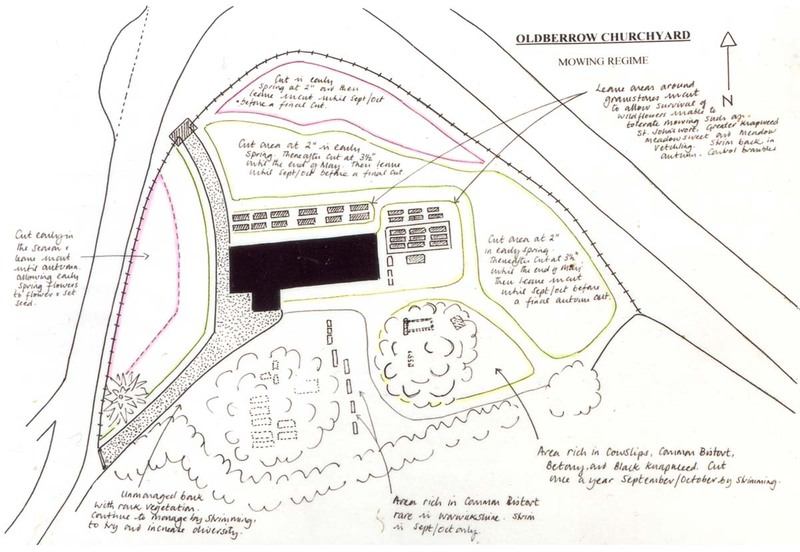 This page contains a few pictures of some of the churches in Warwickshire taking part in this scheme. Alderminster is 4 miles South-East of Stratford, on the Birmingham-Stratford-Oxford Road. 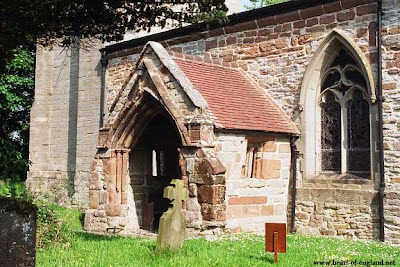 Alderminster is one of the oldest villages in Warwickshire. The village had a church in the 6th century (not on the site of the present one). The present Church of St Mary and the Holy Cross dates from about 1200, but has been heavily restored. 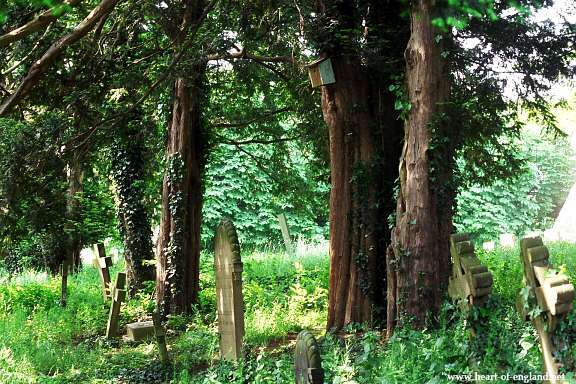 The original village was wiped out by the plague in 1349. 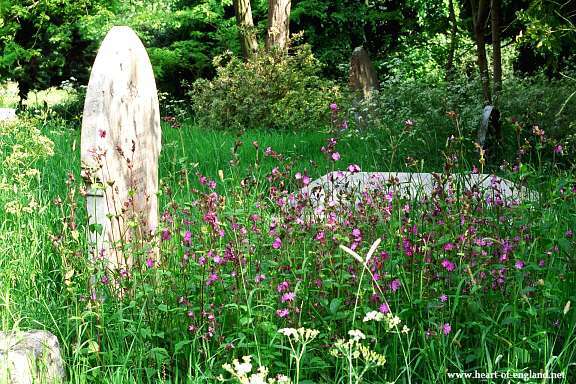 Alderminster has been in the Living Churchyards scheme for several years. 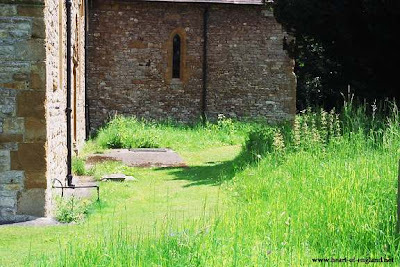 It's churchyard illustrates some of the main features. 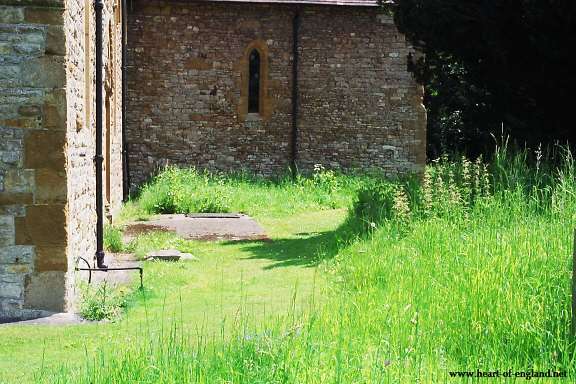 Close to the church are closely mown paths, and just outside these paths is meadow-type grassland. This is mown once or twice a year, usually in late Summer (but mowing schemes vary). 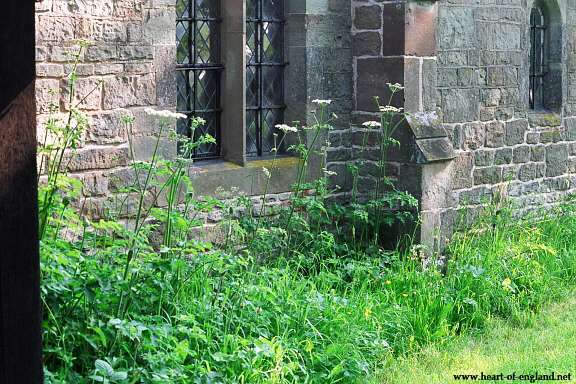 In the more remote parts of the churchyard, the grass is not mown, and these are allowed to grow wild. 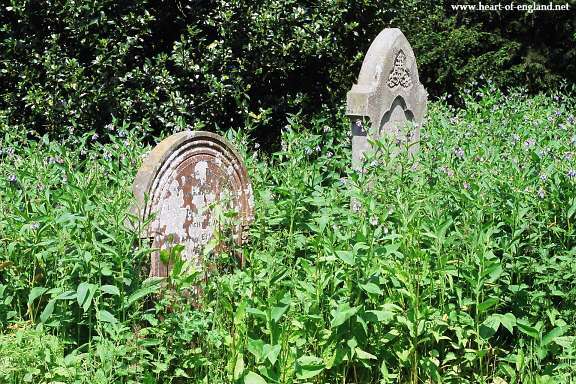 The area around these gravestones had been colonised by vipers bugloss. 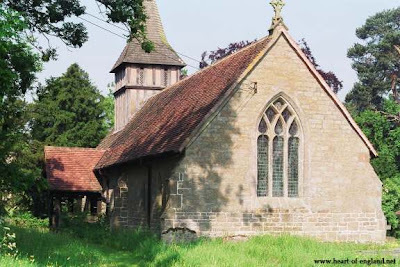 Offchurch, 3 miles East of Leamington, lies on the Welsh Road, a former sheep droving road from sheep farming areas of Wales to London. Anglo-Saxon artifacts from the 7th century have been found here. Offchurch takes its name from King Offa of Mercia (757-796), who had a manor nearby and built the first church here. 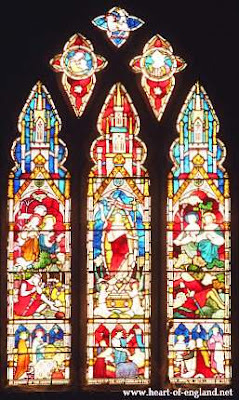 The windows in this church are very small, so it is quite dark inside. The darkness accentuates the brightness of the stained glass windows. 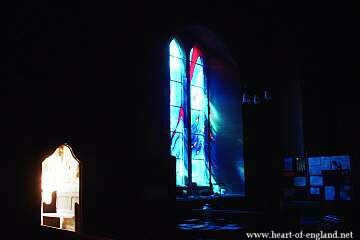 The area of the church near the main door is bathed in blue light coming from one window near the door. This picture shows the doorway into the church and the adjacent window. Visible through the doorway is a bench in the porch outside. Offchurch is one of the most interesting living churchyards. A notable feature at Offchurch is its communities of different species of tall wild flowers. There are ivy covered tombstones, and many bird and bat boxes up in the yew trees. 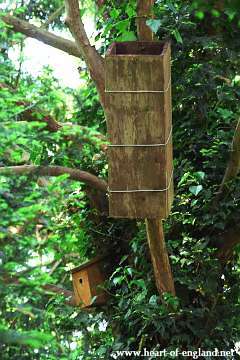 There were also squirrels in the trees. 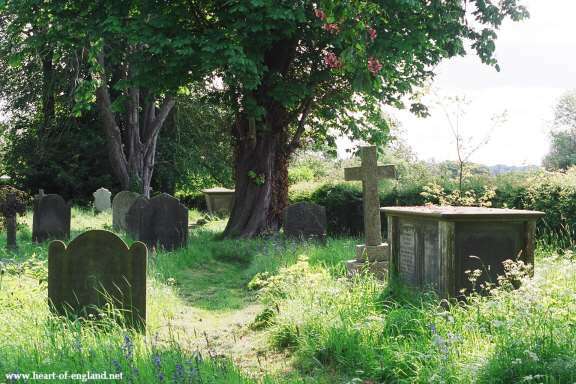 Oldberrow lies 2 miles West of Henley-in-Arden, on the Warwick-Henley-Redditch Road. There has been a chapel here since 1150. 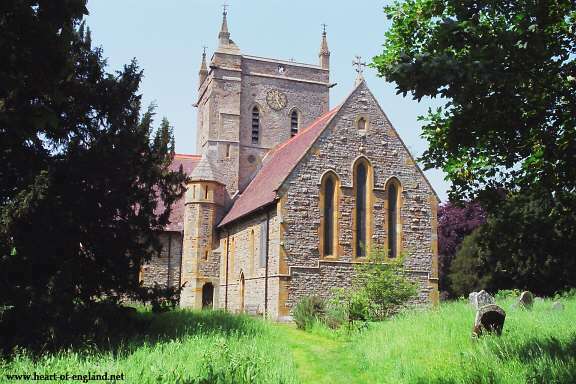 The present St Mary's Church is 13th century. 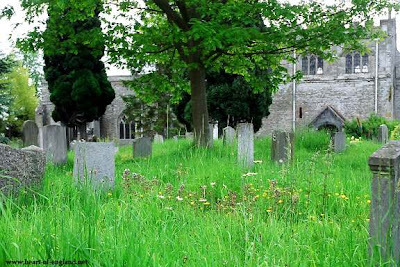 Various areas of Oldberrow churchyard are mowed with different frequencies, and at different times of the year. This diagram, on display inside the church, explains their mowing plan. You can click on this image to enlarge it, if you wish to read the details. 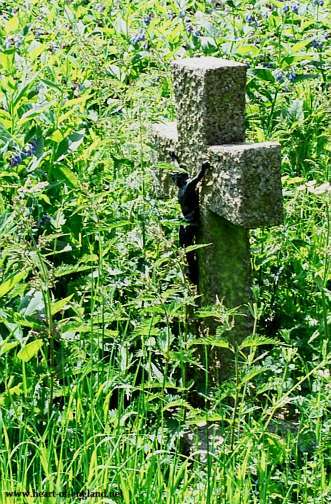 Also in the church are collections of photos identifying various types of lichen that can be found in the churchyard, and other wildlife pamphlets. Wootton Wawen is 2 miles South of Henley-in-Arden, on the Warwick-Henley Road. One important consequence of living churchyard projects is that they raise awareness of conservation principles among ordinary gardeners, who might adopt some of these practices in their own gardens.